Robert Kubica has confirmed that he is in talks with Ferrari, amid reports that he could become their 2019 simulator driver, and says that signing for the Italian squad would represent one of his "biggest dreams" coming true, having missed out on a race seat in 2011. 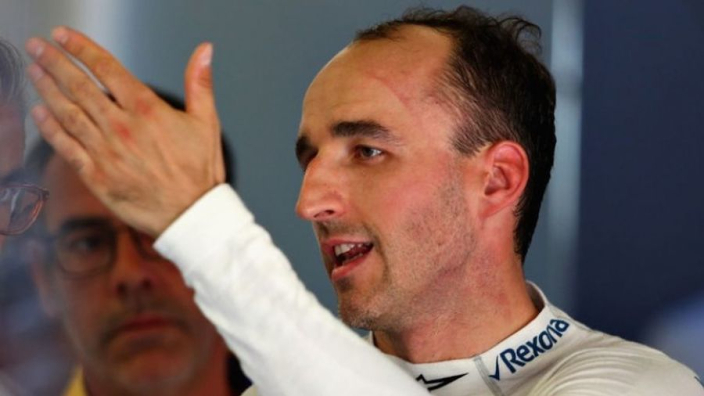 Kubica has previously revealed that he had agreed a del to race for Ferrari in the 2012 season, but it was cancelled when he suffered life-altering injuries in a rally crash in 2011. The Pole has not returned to the F1 grid since then, but has served as Williams' test and reserve driver in 2019. It was reported over the Mexican GP weekend that Kubica had been approached to replace the Toro Rosso-bound Daniil Kvyat, who has assisted Sebastian Vettel and Kimi Raikkonen at races from Maranello this year, and the 33-year-old says he is considering an offer. "There are conversations," he told Auto Motor und Sport. "If there is a chance to wear red overalls even for a short test, then for me one of the biggest dreams of my life comes true. "I've been close to it once, but I did not get there because of my accident. I'm not saying it's happening, but if there's a chance, I will think about it." "It would be nice to be able to race next year, but the comeback would have to be right," Kubica said. "I don't want to force anything. It should be the reward for a long journey. It's got to be about the environment and the people I work with. "It's no secret that Williams is looking for partners to fill Lance [Stroll]'s place. It depends on what they demand from the second driver. "I can only help them if they have the same goal as me. It has to fulfil what I can offer them."